This entry was posted in Blogging from A to Z, Writing and tagged #AtoZchallenge, #lifeisgood, blogging, remembrance, sunflowers for Tina, Tina Downey by Sarah Day. Bookmark the permalink. I am sorry you lost a friend and colleague. I am only too happy to pick up some sunflowers in her memory. That is so nice of you! I did not know Tina well, but she was a great influence, and a great friend to many. This feels like a small community despite its breadth. thank you for thoughts and tribute Tina is smiling… which that makes me smile too. I am glad to participate. My condolences. What a lovely flower to be growing wild near your home! Tina would love it! This picture doesn’t do them justice – they are everywhere, in big clusters. I think of her every time I pass them. Glad you were able to find one growing nearby. There are many, and they are so beautiful. I wish the picture did them justice. A beautiful flower in remembrance of a beautiful person! Sunflowers in the wild! Nothing better than that. Amazing how I’ve also been seeing them everywhere now, too. Yes, everywhere! They add a nice spot of color to what is a somewhat dull landscape this time of year. …and glad to meet you. Just reading this. I didn’t know her – but it’s nice to see the blogging community supporting each other through things like this. Tina had a lot of friends and followers and will be missed. I chose wild ones, as well. We’re lucky to have them springing up around us. 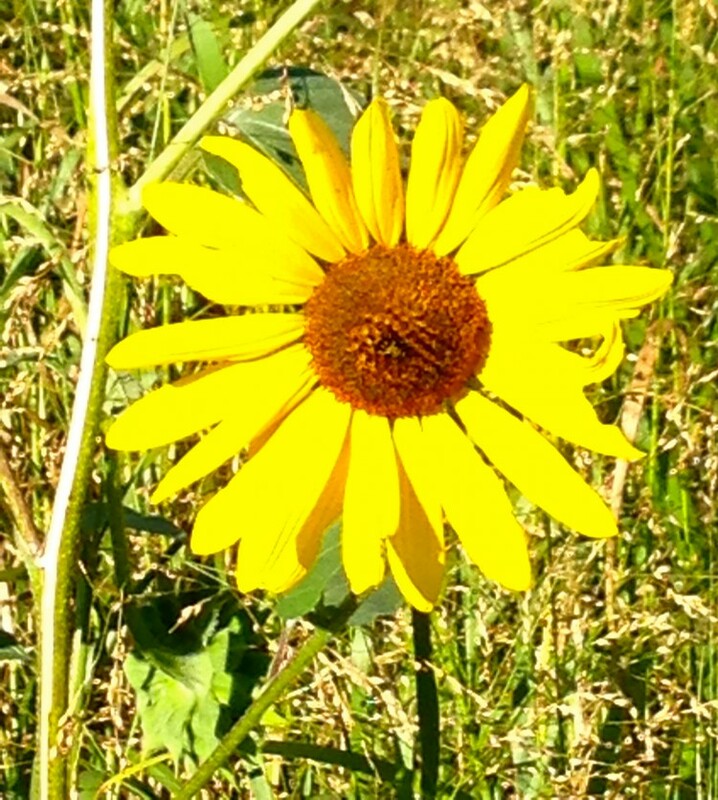 They are still blooming here – I’ve seen fabulous, huge sunflowers in some yards. Makes me wish I had more sun in mine.